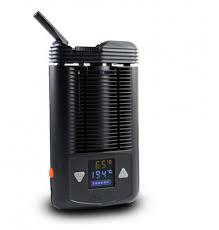 This are in my opinion the best portable vaporizer – Top Five, that you must have into consideration. I measure Vapor production, battery life, ease of maintenance and finally the price. They’re probably the biggest ones but there are a few others factors that I’ll explain as we go along. Let´s start the Countdown for the best portable vaporizer! 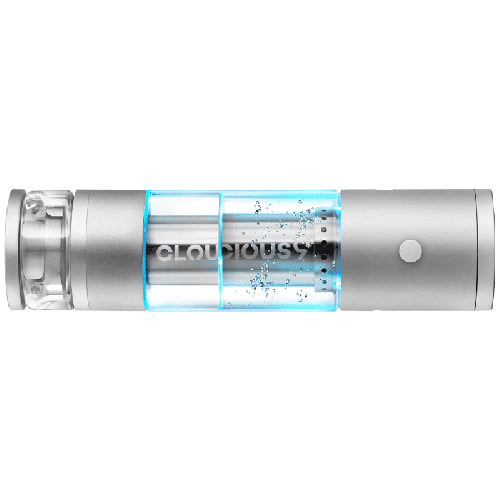 Boundless are relative newcomers to the vape scene but I tell you what, they’ve really managed to hit a spot in the market. Boundless CF was released along with its bigger brother, The Boundless CFX. I think the CF is a more balanced unit. It’s significantly smaller than the CFX, the difference in battery life is negligible. While it lacks the full temperature control, it does have 5 temp presets which I think is enough. Technically, having a look at the unit itself, the filling chamber is huge which is usually bad for efficiency but not in this case. You can fill it right up for big sessions, but it also works really well with smaller loads. 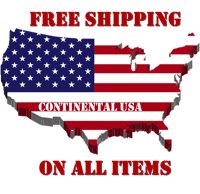 CF provides much better vapor production and a longer warranty for a similar price. Maintenance for the Boundless CF is fairly simple. Most of the debris just builds up inside the filling chamber which can just be wiped out with Isopropyl alcohol. The mouthpiece assembly will also need regular cleaning but it can be disassembled for easy access to those tough spots. Obviously this assembly isn’t as easy to maintain as an all-glass mouthpiece but it is a lot more durable. Vape manufacturers are definitely getting a lot better at packing decent battery life into small packages and the CF is no exception. 5 to 6 10 minute sessions, for me, is plenty. It can’t be used while charging but it does charge via micro USB so it’s nice and convenient to top up. The main issue I have with the Boundless CF is the taste but, as long as you run the unit at the maximum temp for as long as possible when you first get it, this should dissipate quickly. Whether you’re a beginner looking for an inexpensive, entry-level vape or an experienced user looking for a reliable portable companion, the Boundless CF is the perfect solution. With performance rivaling that of much more expensive units, you won’t be disappointed. We have the Arizer Air. It’s been more than 2 years now since the release of the Arizer Air and I still find myself recommending it on a daily basis. In case, you’re unfamiliar with Arizer as a manufacturer, they have a long-standing reputation for reliable, practical vaporizers that just work well. 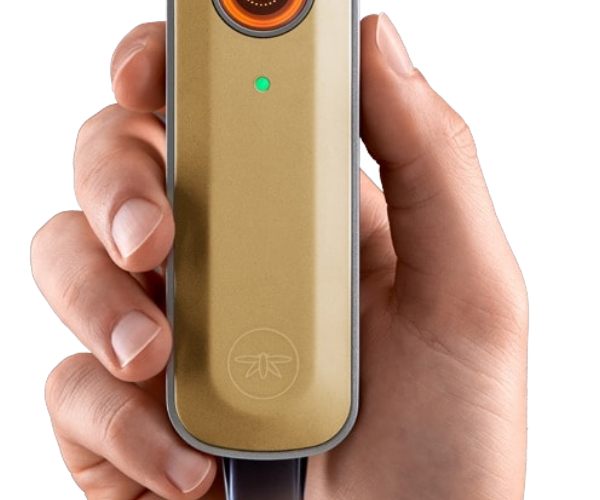 The Air is Arizer’s second portable and is essentially a smaller version of the Arizer Solo with slightly better airflow and a more easily replaceable battery. The main thing I love about the Arizer Air is the layout. Loading herb into the glass mouthpiece as opposed to the unit itself keeps it so much cleaner than just about any vaporizer I’ve used. I’m surprised more companies haven’t adopted this layout as the norm. The Air uses 5 preset temperature profiles ranging from 356ºF/180ºC to 410ºF/210ºC, so its temperature control isn’t excellent but it is very consistent and good enough for most users. 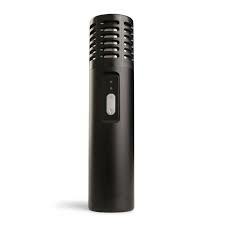 Vapor quality and efficiency are definitely strong points for the Arizer Air too. It’s easy to get great results regardless of how you’re packing it. The ceramic, stainless and glass construction keeps every draw tasting as pure as possible. Moving on to battery life, you can expect between 4 and 5 10 minute cycles with a full charge, compared to some other portables, isn’t outstanding, but it definitely isn’t bad considering the size. You also have to keep in mind that the battery is easily replaceable and fairly compact so it’s nice and easy to carry spares if need be. The mouthpiece/filling chamber layout, as I mentioned before, makes the Arizer Air so easy to maintain. Obviously glass is fragile but, to me, this is a small price to pay for how convenient the cleaning process is. It’s also worth a mention that there are wooden/steel alternatives available these days. To clean the mouthpiece all you’ll need is a jar of Isopropyl alcohol, unscrew the plastic tip (if you’re using that particular mouthpiece) and drop it in. 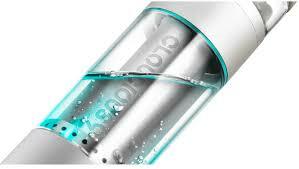 Arizer Air include two mouthpieces with the kit so this means you’ll basically never have any maintenance down-time. As soon as the mouthpiece you’re using starts to get blocked up, pull the mouthpiece you had soaking, out of the Isopropyl, rinse it with water and leave it to dry. Once it’s dry, drop the dirty mouthpiece into the same jar and continue vaping. Simple! The Arizer Air is one of those portable vapes that’s hard not to love. Great vapor production, replaceable battery, easy to take care of and it’s covered against faults for 2 years. 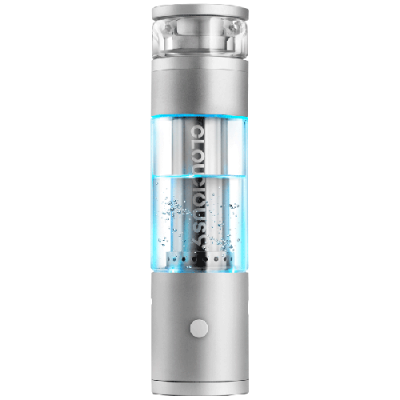 If you’re after a no-fuss unit with expandable battery life and without paying an arm and a leg, the Arizer Air is definitely a great pick. The Pax 3, Pax labs as a company have been a huge success over the past few years. Despite its flaws, the original Pax was a game-changer for portable vapes. The concept of a tiny, perfectly discrete unit that actually provides great performance seemed like nothing more than a Utopian dream. 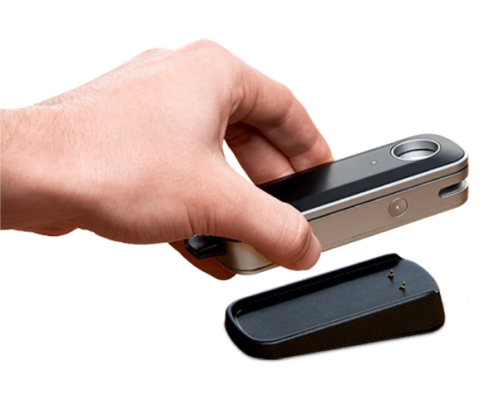 Okay, so maybe it did turn out to be just that for the original Pax, but the Pax 2 was awesome! Now, with the release of the Pax 3, they’ve managed to jam even more features into the same sized package. Let’s have a look! To the naked eye there really isn’t much difference between the Pax 2 and Pax 3. In terms of aesthetic appeal, they’re hands-down my favorite vaporizers at the moment. Okay, so they’ve changed the finish to a high gloss and no, I’m not big fan of that but under the hood is a different story. First of all, it now has haptic feedback so it will vibrate when switched on and heated up. Secondly, heat up time. 20 seconds from ambient to first draw. Very impressive! Vapor quality; no notable improvements over the Pax 2 but I was already pretty satisfied so I’m not too fussed about that. It’s great for the size but don’t be expecting it to outperform bigger units like the CFX or the Mighty. In saying that, the taste is purer than just about any other full-conduction unit on the market, especially seeing as the vapor path is mainly stainless steel. As with the Pax 2, the Pax 3 works best with a fully packed oven but they now include an alternative lid with a built in spacer. They call this the half pack oven lid and to say it’s handy would be an understatement. The Pax 3 uses the same four stage preset temperature system as the Pax 2 did but you can now use and alter a fifth preset using the smartphone app, also offers a range of heating profiles like boost, efficiency and flavor. Essentially these profiles just change how quickly the vape heats and cools in response to your draws. The app also lets you monitor battery life and the current temperature in real time. The Pax 3 provides roughly 7 to 10 minute sessions per charge. It goes without saying that this is super impressive considering how small it is. It can’t be used while charging but the included magnetic dock is compact and can be connected to any laptop or PC via micro USB. As far as discrete portables go, the Pax 3 is amazing. Great battery life, easy to use and it’s covered by Paxlabs 10-year warranty. 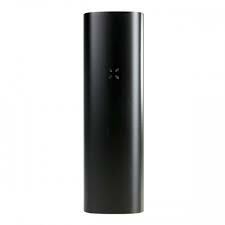 If you’re after something tiny without sacrificing a huge amount of vapor production then the Pax 3 is one of, if not the best option available at the moment. DaVinci are definitely one of the most iconic names in the world of vaping. The original DaVinci was released way back in 2012 and since then it’s been a staple for a huge amount of vape enthusiasts. It was small, had full digital temperature control and decent battery life. 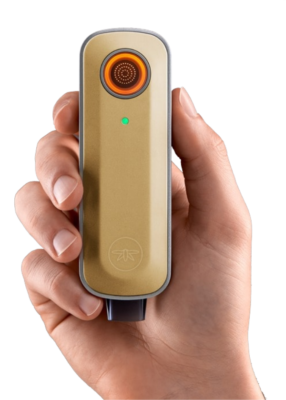 The IQ is DaVinci’s smallest portable to date and the feature list is amazing. This thing is tiny. It’s roughly the same size as the Pax 3 and while it’s a little heavier, it’s still just as portable, if not more so. Just like the Ascent, the IQ has a removable vapor path but this one is a single piece and can actually be filled with herb so it can act as a flavor infuser. The Mouthpiece and the vapor path are made from a weird material called Ceramic Zirconium which has the durability of steel but the taste of ceramic or glass. It also has a really low level of heat retention so it cools down really quickly. This is a first for vaporizers and hopefully we’ll see more of it in the future. The IQ has one of the most interesting and practical temperature control systems that I’ve seen. By default, the unit starts out using four presets called “smart paths”. These are essentially just heating profiles but, unlike the Pax 3, the IQ gradually increases in temperature over your session. So for example, smart path number two starts off at 270ºF /188 ºC and increases to 390ºF /199 ºC. All this over a period of 10 minutes. If this presets aren’t quite right for you, they can be programmed manually using the smartphone app or you can just tap the power button while the unit’s on to switch to a standard specific temp or “precision mode” as DaVinci call it. This is another benefit of the IQ over the Pax 3 which relies purely on the app to make these fine adjustments. Nice quick heat up at roughly 50 seconds from ambient to draw. Vapor production and overall quality is really nice, especially for a conduction unit like this. It’s got a pure taste and is reasonably efficient with small loads. You’ll get about 4 or 5 10 minute sessions from a full charge and it can be topped up using a regular micro USB cable, also it can be used while charging. Nice one DaVinci! The Maintenance for the IQ is nice and easy due to the removable vapor path I mentioned earlier. It can be soaked in Isopropyl alcohol and the filling chamber can just be wiped out. So, to make the long story short it’s a great pocket-friendly vape with awesome temperature control, vapor production and a replaceable battery. The gravy? A 10-year warranty. What more could you ask for. Well, we’re about to find out…almost there for the best portable vaporizer. To be The Best Portable Vaporizer – The Mighty. I was really thinking that something could’ve knocked the Mighty off its throne. Honestly though, there’s still a few things that make me reach for this unit over anything else. To give you a quick history. Storz And Bickel released the Mighty in 2014 along with the Crafty. A smaller version with no temperature display and less battery life. 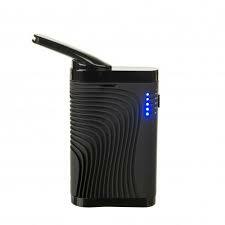 It’s now widely considered to be one of the best portable vaporizers in existence. Temperature control, ease of use, vapor production, efficiency, taste, cooling capacity, battery life. The Mighty’s got it all! In this case “got it all” isn’t exactly a literal statement and I must admit. It does have a couple of weaknesses. For starters, it’s pretty big. It’s easier to carry around than an Arizer Solo. It’s not very discrete device but, that’s not what it’s been designed for. Operation is as simple as they come. Power button, two temp control buttons. Full temp control to the degree. Easy as. The 2-minute automatic shut off is relatively short but it can be reset by tapping the power button. Whether you’re grinding coarse or fine and packing small or large amounts of material, you’re going to get great results. Simple as that. It’s a ridiculously efficient vape. Vapor production, taste, airflow and cooling capacity are all A-grade and second to none in my opinion as far as portables go. So, we know it’s got brute-force performance but the Mighty’s also is really precise in terms of general temperature control and heat distribution inside the chamber. This is especially impressive, considering how many grinding and packing guidelines portable vaporizers like this usually carry. 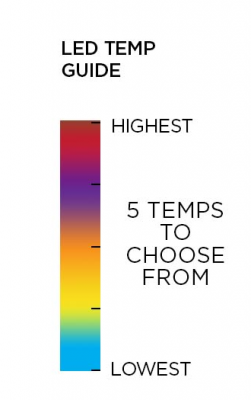 Another thing that makes it stand out is that you can use it several times in a row without it becoming too hot to hold. 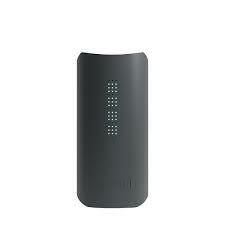 You can expect between 5 and 7 10 minute uses per charge and while the batteries aren’t user-replaceable. They do charge really quickly. It can be used while charging, even if it’s completely drained. If you’re using the new dosing capsules which are basically external loading canisters or the included liquid pad which can act as a spacer. Maintenance won’t be required too often. Just wipe out the filling chamber with some Isopropyl alcohol and when the cooling unit gets blocked up it can be disassembled and soaked for a short time. Not exactly as easily taken care of as the Arizer portables. Lastly, the Mighty’s covered by a 2-year warranty. In summary. If you want the best vapor quality possible with almost no draw resistance. If you want great battery life and precise temperature control then this is the unit for you. 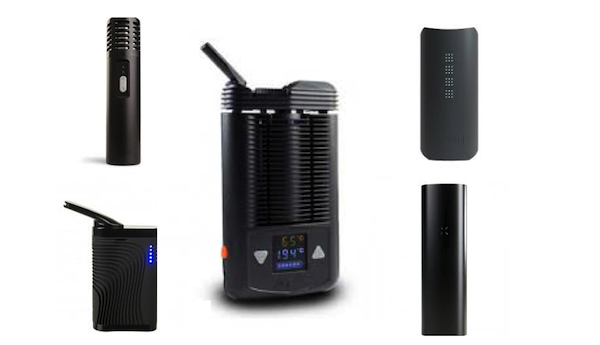 The Best Portable Vaporizer – Top Five. Let us know what you think!